In that same time, Wear OS watches (formerly known as Android Wear) has slowly been growing traction, but they’ve all been still on the more expensive side. 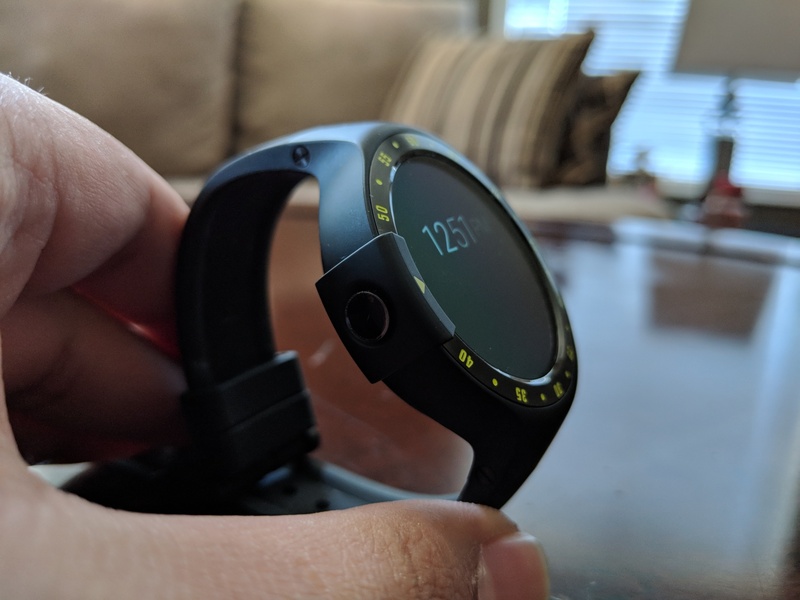 However, there are companies like Mobvoi, who are making cheaper Wear OS watches like their TicWatch S & E. I’ve been testing their TicWatch S for a few weeks now and it’s a great watch apart from a few flaws. The TicWatch S has a more sporty lightweight design with seconds markings on the outside of the display. The watch has a 1.4-inch OLED display with a resolution of 400×400. 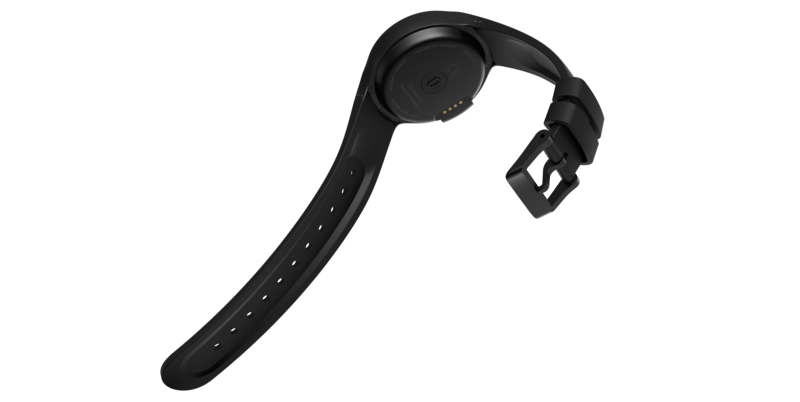 The watch is IP67 water and dust resistant, heart-rate monitor and has Bluetooth 4.1, 802.11 b/g/n Wi-Fi. There’s also a magnetic pin connector for charging and built-in GPS. 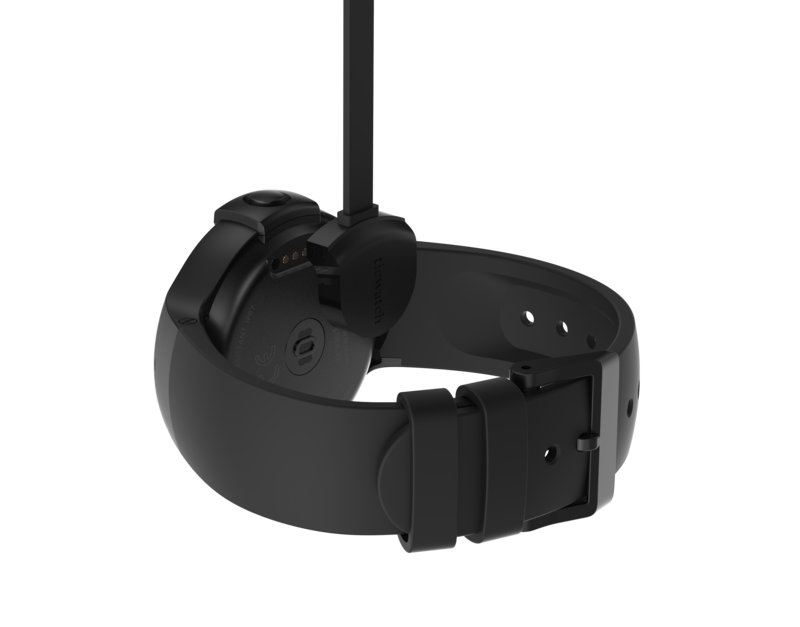 The TicWatch S is powered by the MTK MT2601 dual-core processor with 512MB of RAM and 4GB of RAM. While using the watch, I noticed a lot of slowdown/lag when navigating through the OS. I’m not sure if that’s because of Wear OS or the processor that Mobvoi chose to power the TicWatch S. On the side of the device is the home /all apps button. One thing to note is that the bands on the TicWatch S can’t be swapped out. You can get up to 48 hours of battery life but it’s much less than that if you have the always-on watch face on. I got around a day of battery life on the TicWatch S.
The TicWatch S is available now for $199 USD from Mobvoi’s website. It comes in three colours, Knight (black), Aurora (lime green) and Glacier (white). 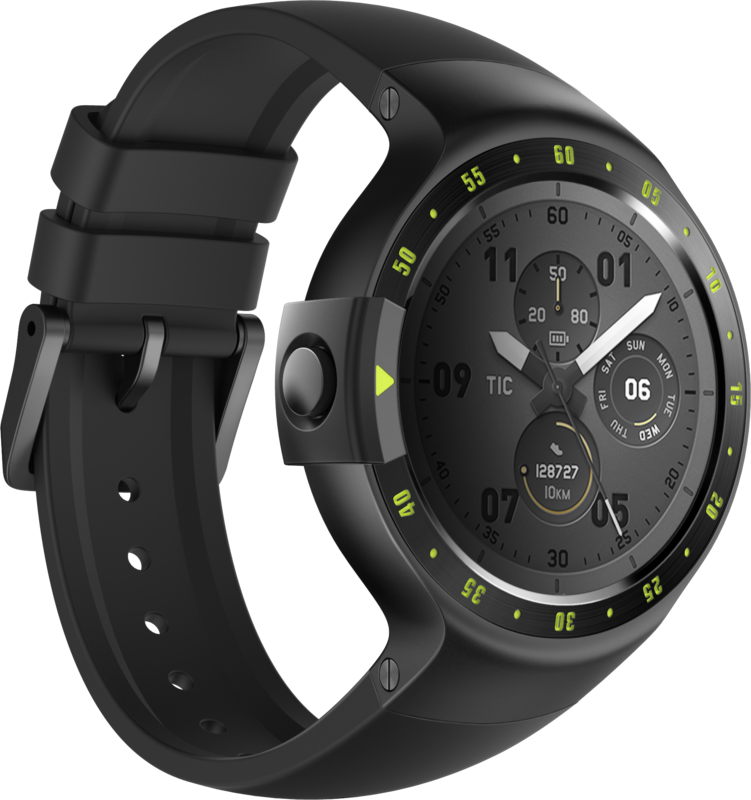 The TicWatch S is running Wear OS 1.2 which is based on Android 8.0. With Wear OS, most of the functions are done on the watch itself, meaning you’ll be able to download new apps from the Play Store without needing your phone. 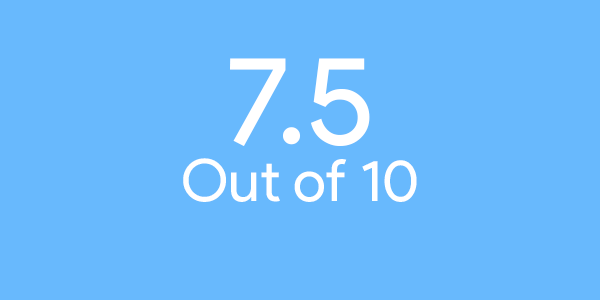 I’m not that big of a fan of Wear OS, it just feels a bit clunky and not as smooth as Tizen on Samsung’s smartwatches. 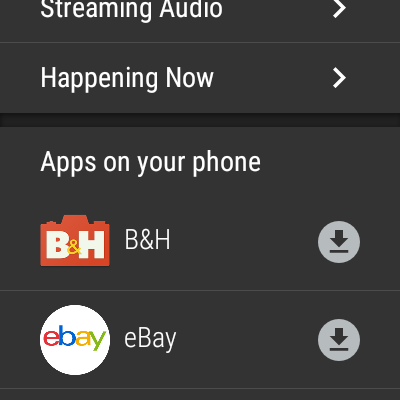 As mentioned earlier, just navigating through menus or even the Play Store is very laggy. 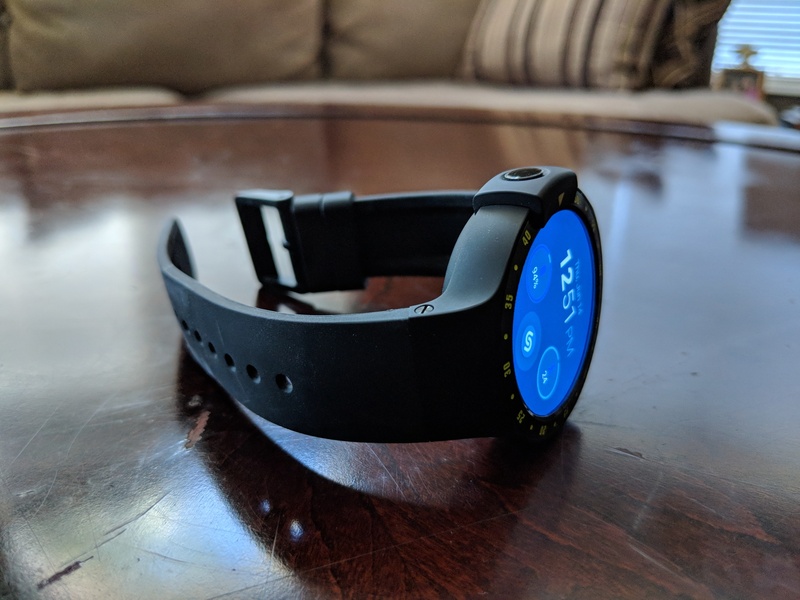 Wear OS on the TicWatch S also comes with fitness tracking features and some of Mobvoi’s health apps. You can track steps, heart rate and more. 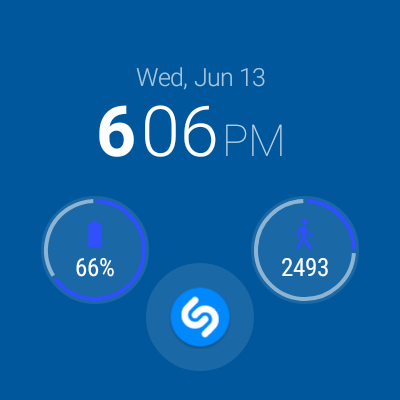 You have your main watch face and you swipe to the right to change it or adjust the customizable watch faces. 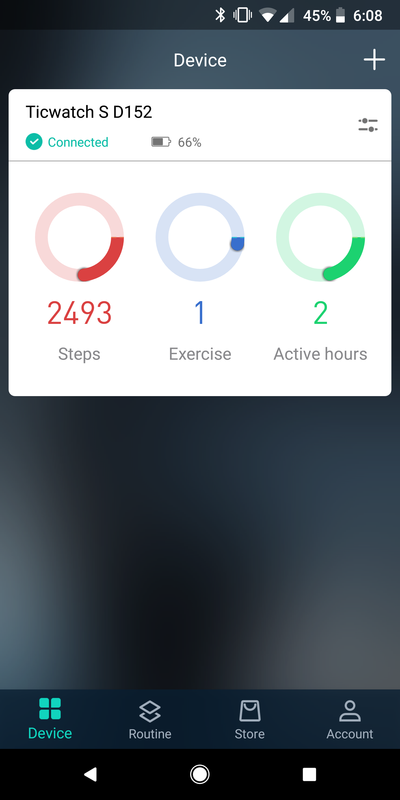 The button on the left side of the TicWatch S gives you access to all your apps. One thing that really annoyed me is that if you install any apps or watch faces on your phone, they’re not automatically installed on your watch. You have to open the Play Store on the watch and then scroll down to see App on your phone and then install them on your watch from there. You can still reply to message and what not on the TicWatch S as well as use the Google Assistant. 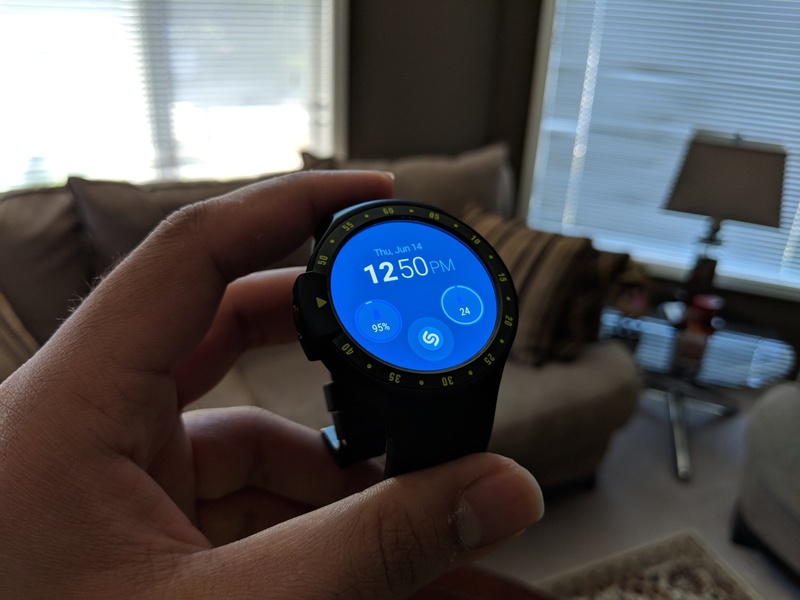 To do this, all you need to do is hold down the side button on the TicWatch S and you’ll see the Google Assistant pop-up but its slow and I didn’t find myself using it that often because of how slow it is. 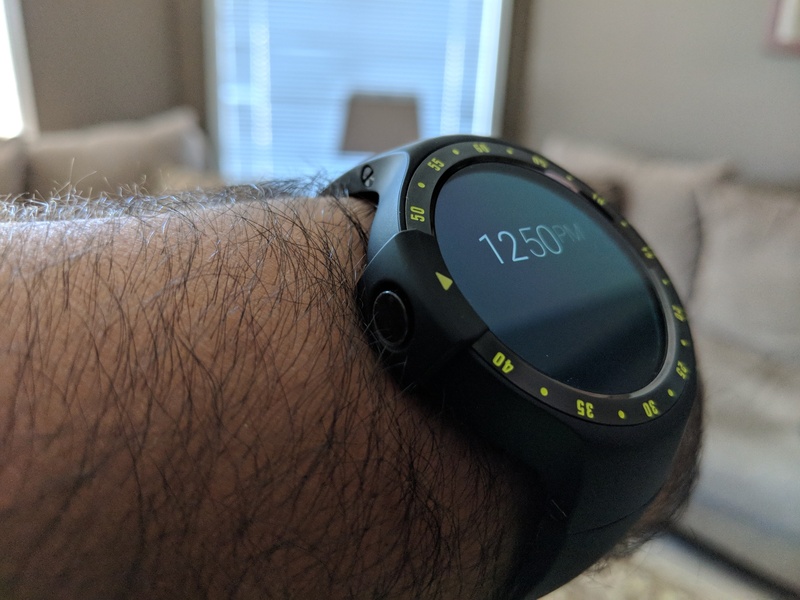 Overall, I like the TicWatch S, it’s a cheap smartwatch that is slightly hampered by Wear OS.